This Sunday 24th December many will observe Christmas Eve. However, for Liquid Silk, the date is also the third anniversary since they opened the Bugolobi branch to the public. 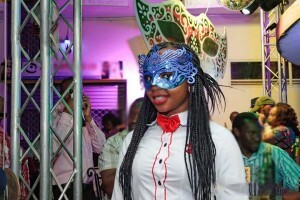 In a show of gratitude, the establishment,that is known for being innovative, has chosen to mark the day with a Masquerade Party. Liquid Silk management confirmed to this platform that they are using the party to give back to their loyal customers who have supported them since before the Bugolobi branch opened. Indeed, when we spoke to their P.R, he confirmed that guests will be served “bites, Coca Cola and Johnnie Walker,” before the party shifts into full gear. The Masquerade Anniversary party is expected to be attended by more than 1000 loyal Liquid Silk customers from around Kampala. Off course, we expect the ba-summer to turn up in big numbers to splash some cash as they usher in their Christmas. Besides the masks that will be distributed to guests at the entrance, the party will be crowned by a pompous fireworks display at midnight before the party continues on until dawn. The Masquerade Party that is sponsored by Johnnie Walker and Coca Cola is an invite-only affair. However, from our experience, this will not deter Kampala party animals from showing up in droves to beg, plead or pay for entrance.